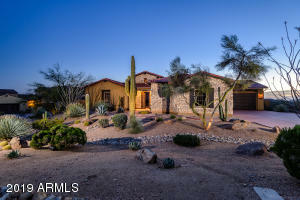 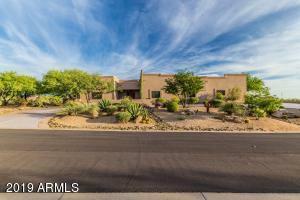 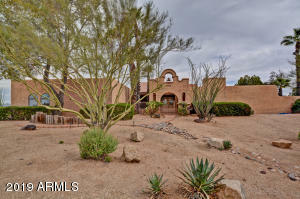 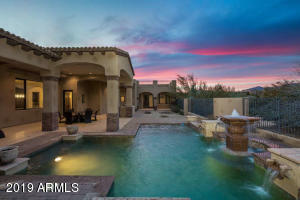 Get ready to fall in love with this stunning home with over 4000 sf & guest casita. 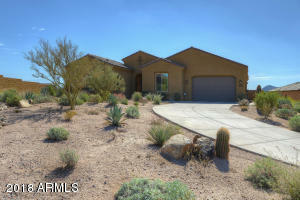 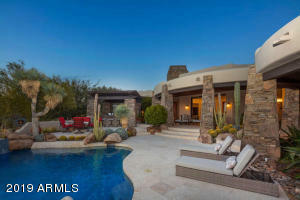 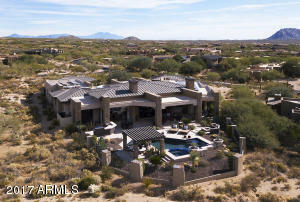 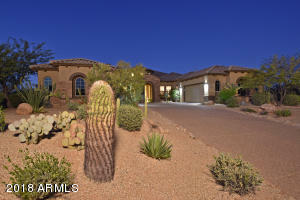 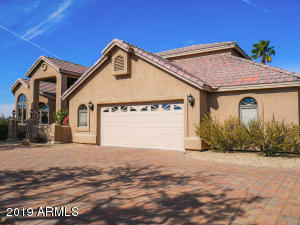 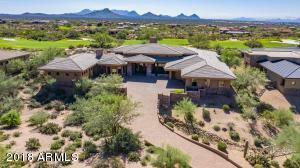 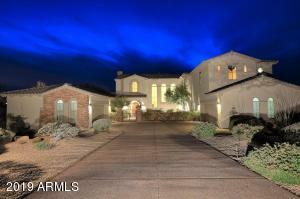 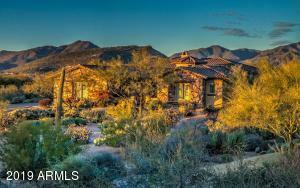 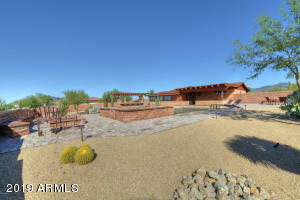 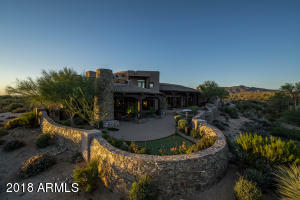 Magnificent mountain views and backyard has FULL SPORT COURT, pebbletec DIVING POOL W/SLIDE, fire bowls, misters. 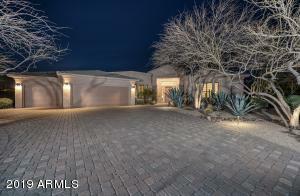 Inside you will find 4 bedrooms and 4 baths THEATER/BONUS room, OFFICE/DEN with built-in cabinets & bookcases. 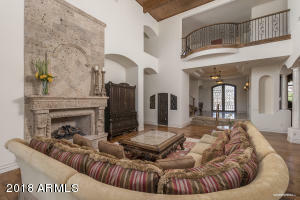 Custom features such as plantation shutters, travertine stone flooring, three fireplaces, wet bar, wine cellar. 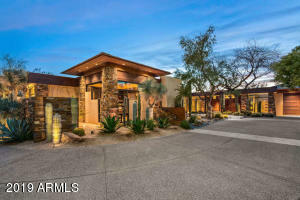 and elegant drop lighting throughout.. Gorgeous chef’s kitchen with built-in refrigerator, double wall ovens, industrial cooktop and granite countertops. 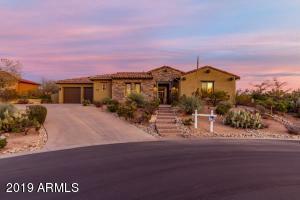 Spacious master has fireplace, double granite vanity, jetted tub, walk in shower, sitting/exercise room and generous walk in closet. 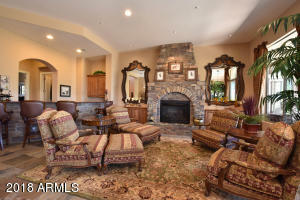 Invite family and friends for any occasion. 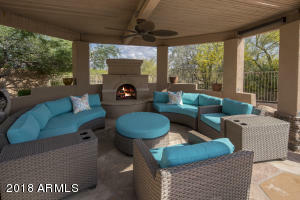 With an exterior fireplace, a fireplace with surrounding benches, a built-in BBQ and fenced in diving pool with water feature slide as well as relaxing spa, your shindigs will be the envy of the neighborhood. 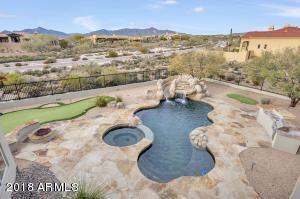 There’s also a putting green and basketball court to add the fun. 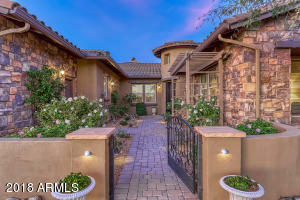 Come see it yourself today! 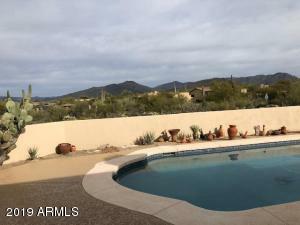 I hope this home is perfect for your family but if you need other features, here are homes in the same area.